Please share cars with other riders and supporters to minimise traffic and parking problems. The roads north of Inverness are generally very good but there is a slower section around Garve. Please treat the village with respect. This event could not take place without the support of local people who have been extremely helpful. Don’t abuse their generous hospitality. Please use the toilets available in the village. Parking space will be sufficient but is spread around the village. Marshals will direct you. Please obey their instructions promptly and precisely. Offenders who block roads or driveways will be swiftly dealt with. All parking will be within 1 mile of the start/registration zone. 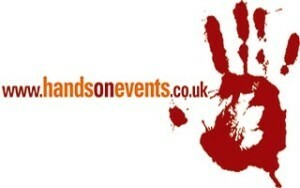 At registration you will be required to sign a disclaimer for event insurance. You will then get your number and an electronic dibber for timing. Attach the number to your handlebars so it is easily accessible. Shieldaig primary school will run the ‘lucky cyclist’ draw in the village hall during registration. Help support the local community by buying a ticket or two. It’s £1 a go and you can enter your competitor number as many times as you wish. The lucky number will be picked out once the event starts and the lucky cyclist will get £100. Starts are between 10.30 and 11.00. Just dib and go. However, when deciding what time to start you need to note the following: you cannot start the climb past the junction at Tornapress before 11.00 and will not be allowed to start the climb after 12.00 noon. The only section of the course that is closed to traffic is from the junction at Tornapress to Applecross Campsite. The road will be closed to cars from 10.30 – 13.30. 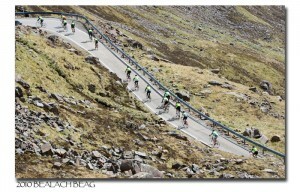 There will be a timing station at the bottom of the Bealach and another at the top. If you want your time on the climb recorded you must stop and ‘dib’ at both. It goes without saying that you must exercise extreme caution on the descent from the Bealach. The road is steep, the corners are tight and there are rocks and drops off the roadside. Riders must also exercise caution on the single track roads throughout the course and ensure that you allow cars to pass in both directions promptly and safely. There is first aid cover and there will be a broom wagon swiping up at the back. If you retire from the event you must report to a marshal and return your dibber. There will be a station for food & drink at Applecross. They will provide bananas, tray bakes and water. There is a drinks only station at the top of the Bealach. You should ensure that you start with sufficient drinks on board and some food in your back pocket! Be careful when entering and exiting these stops. Look out for those behind you. You must ‘dib’ at the finish. You must give up your dibber. You will then immediately receive a print out of your time. There will be free hot food, cake tea/coffee at the finish. Professional sports massage will be available for a donation to charity. Finish certificates will not be available on the day but can be downloaded from the SPORTident website with the final results. Have a great event and a safe journey!